The Chichibu Red Arrow Express from Ikebukuro is a convenient, reserved-seat service. 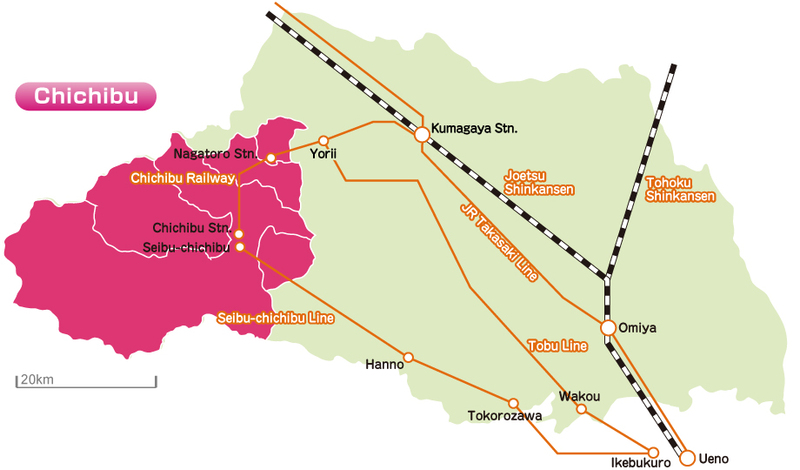 Stops at Kumagaya, Takekawa, Yorii, Nagatoro, Minano, Chichibu, Ohanabatake, and Mitsumineguchi. From Hanazono Interchange, take Chichibu Oukan Highway (Route 140) for Chichibu. 50 min. from Hanazono IC to Chichibu city and 30 min. to Nagatoro. 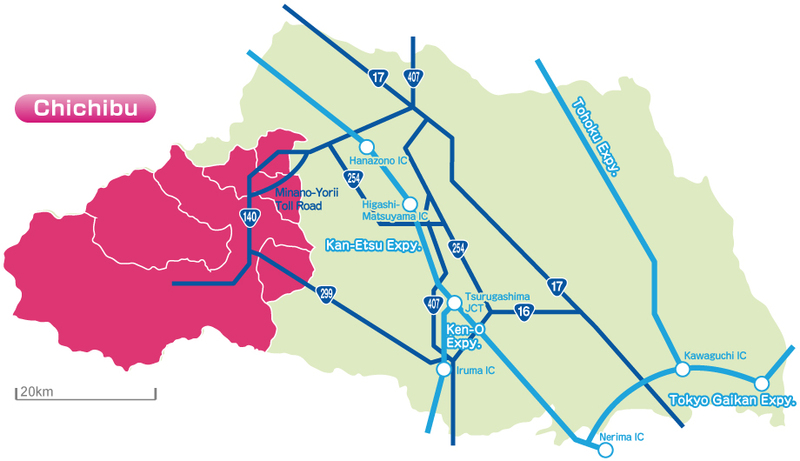 From the Sayama Hidaka Interchange, take Route 299 for Chichibu. 65 min. from Sayama Hidaka IC to Chichibu city and 90 min. to Nagatoro.